William Wood and Thomas Milis escaped from Rochester Prison during the night on Monday 6th March 1882. 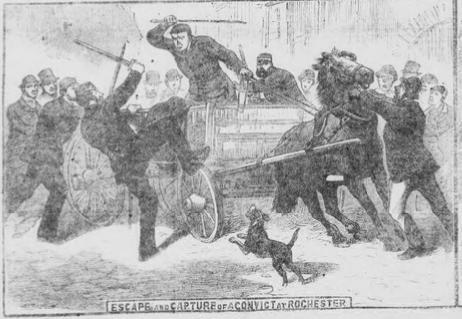 They stole a cart, upon which they were swiftly chased by prison warders through the streets of Rochester, one prisoner using 'a thick stick' to beat off the pursuers. Eventually, a bystander intervened bringing the cart to a standstill, taking one prisoner into custody but not the other, who remained at large for some time. Four military men, three of the Royal Artillery and one of the Royal Welch, were imprisoned at Woolwich Barracks. However, rather than wait for their fate, the four men pulled off a daring escape over (and through!) several walls. All this was accomplished in about 3 hours, after they were checked at 3am. John Garlick, a conman with a several previous convictions, manufactured a ladder to aid his escape. He was employed as a joiner in prison, and bore a hole in the wall through which he made his escape, having also constructed a ladder which he used to scale the walls. He managed to effect an escape, but was captured shortly afterwards. 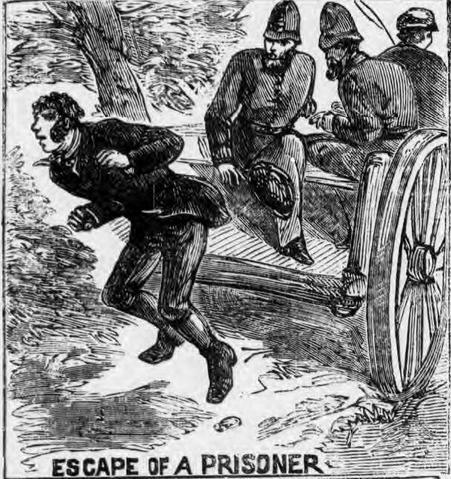 This concerned a slippery character named Soar, who was chased across country by a vicar and a soldier, eventually being recaptured and conveyed to the Ipswich police station. He'd previously led the police on another chase of magnificent complexity, getting away from them and swimming the river Gipping twice before his capture! 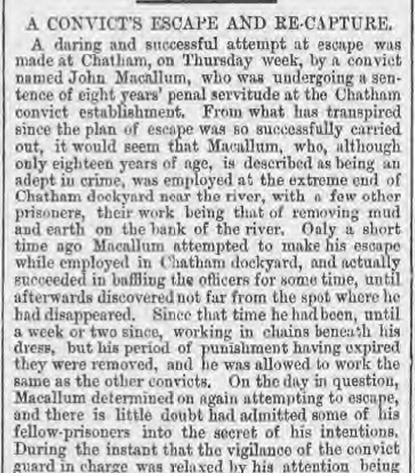 Another swimming criminal, Macallum absconded from a work party constructing part of Chatham dockyard. He was caught, but two weeks later, he absconded again, this time getting as far as the boundary wall, hopping it. Here, he talked his way past a witness with a story about an injured police officer, and reached Dartford before being recaptured. In this time, he swam across the Medway three times to avoid police patrols. Laxton's escape was unsuccessful, but his sheer industriousness earns him a spot in this list. Sentenced to a hefty period of 10 years for theft, he burrowed through two feet of granite masonry with an improvised pickaxe and made a set of clothes to aid his getaway once through the wall, almost without detection. Unfortunately for Laxton, a guard heard him attacking the wall with the pick just as he was attempting to get through it and out into the Prison yard, and prevented his escape. A criminal named only as Norman escaped from right under the noses of two Dorset police officers, one of them the District Superintendent. They were escorting him to a court for trial on the back of a cart when Norman leapt off and ran, leaving just his hat behind as he made his escape. William Lovett, a stonemason by trade, effected his escape from Millbank by knocking a hole in the roof (hiding his work with chewed bread in place of mortar) abseiling down the building, running through the Prison Governors garden and then scrambling over the perimeter wall. He then adopted the disguise of a chimney sweep by smearing his prison uniform in soot from a chimney. 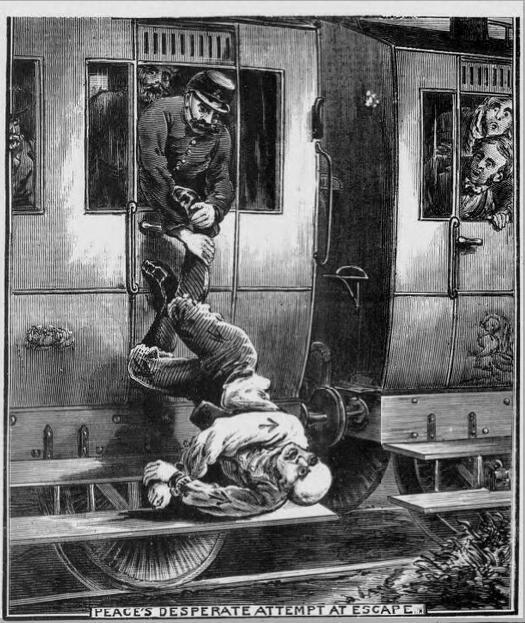 As noted in the Illustrated Police News below, this was quite effective! 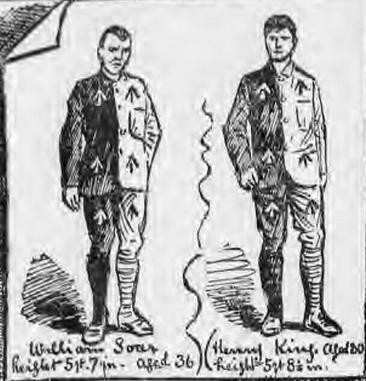 Soar and King are high up on this list as, as far as the author can ascertain from the documents and reports he has seen, were never recaptured. 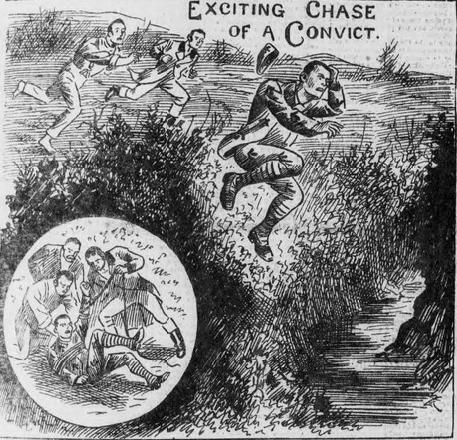 Soar and King slipped out of their prison through a window, and managed to bamboozle the police so much in the resulting chase that the investigation to find them collapsed into disarray, as the Illustrated Police news reported on 15th December 1900. They also inspired a second pair to escape, Yaxley and Alton, who did so a week later. However they were quickly recaptured, one having been shot and the other discovered hiding on top of a wall. No 1: Charles Peace, who attempted to leap from a train at 45 MPH. The reason for Peace wanting to escape was understandable: he was sentenced to death for murder, a sentence that was carried out in February of 1879. 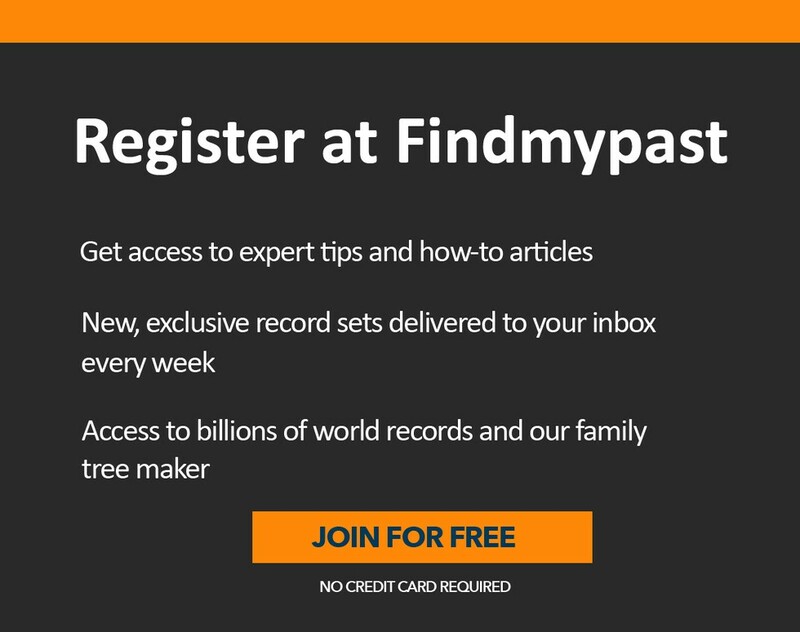 Want to know if your ancestor was a prison escapee? Have a look in our new records and let us know what you find!